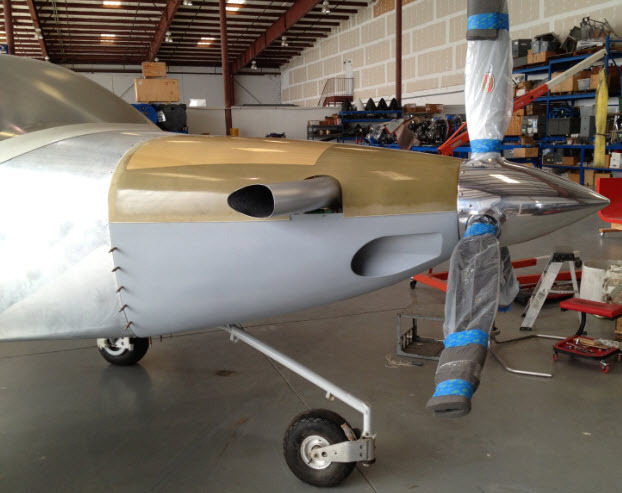 We're in the process of completing a RV10 firewall forward kit with the TP100 turbine engine. This will give you a four-place airplane whose design has been proven time and again, and now offered with a turbine engine which gives you superior reliability. Follow us on facebook for RV10 with TP100 updates. The firewall forward kit will continue the RV tradition of being simple, affordable, and light weight. Stall speed and landing speeds continue to be at a low mph, short runways are never an issue, and the operating ceiling of 20,000. Fuel on board can be expanded to 120 gallons maxium and will gain you additional travel distance. Exact fuel consumption will be determined. Upper and lower cowlings, engine mount kit, engine plenum kit, air tunnels kit, header tank and fuel kit. Displaying RV 10 firewall forward. RV10 getting prepared for new engine. Left and right wing ground bus. So, if you enjoy RV performance you will regard RV performance with a TP100 turbine engine with enthusiasm.